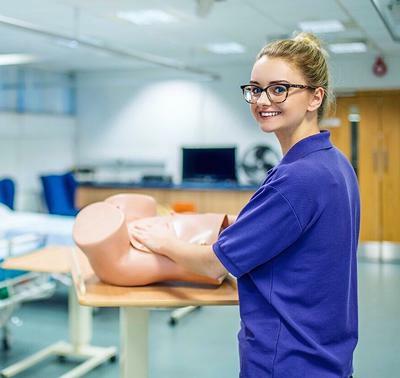 Southampton student Lucy Price is a finalist for the 2018 Pregnacare Student Midwife of the Year. Commitment, community and collaboration are all words used to describe University of Southampton student midwife Lucy Price, one of five finalists for the 2018 Pregnacare Award for UK Student Midwife of the Year. The Award, presented by the Royal College of Midwives (RCM), seeks to recognise an individual who demonstrates vision and leadership potential. The winning finalist will also be recognised for their contribution to the improvement of the student experience whilst studying midwifery, acting as an advocate and role model for fellow students and contributing extra time and effort to midwifery through commitment to the RCM and the development of a Midwifery Society. Lucy was nominated for demonstrating her great commitment to midwifery and the Southampton programme through the establishment and running of the student midwifery society MidSoc at Southampton. “The RCM awards are prestigious within the Midwifery world and I am hugely honoured and totally overwhelmed to have been shortlisted,” the 22-year-old, originally from Fareham in Hampshire, enthused. “My passion for midwifery and desire to improve the experiences of current and future students at the University lead me to establish greater society representation for student midwives. MidSoc provides an environment for students to network, socialise, attend study days and discuss midwifery-specific issues to encourage personal professional development. Under Lucy’s leadership, MidSoc has also collaborated with the charity ‘Kitty’s Dream’, providing students with an opportunity to fundraise and make a difference through their social and professional activities. “Lucy wanted to ensure that new and existing students felt a sense of belonging, and had the opportunity to access support from peers,” said Midwifery Lecturer Marie Naish who nominated Lucy for the Award. “She has been an excellent role model for student midwives, and prospective students. Her liaison with the midwifery team enables her to advocate for fellow students and ensure the student voice is central to the midwifery curriculum. The winner of this year’s Pregnacare Award will be announced on Tuesday, 6 March at a gala dinner in London.